Artists migrating from other software to Blender will eventually try to keep the same workflow, reducing any potential loss of productivity. The renderer they use is a big part of the workflow, and Blender has lots of options for commercial renders nowadays. Among those options, you will find Corona Render, which can produce impressive images for architectural visualization projects. 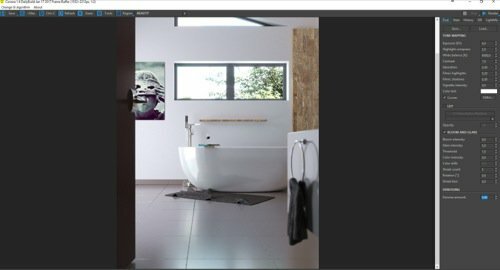 Do you want to download a full scene with all settings to render with Corona Render? The guys from AZR Studio posted on their website a free bathroom scene modeled in Blender. Here is the scene with a render from Corona. If you have plans to learn how to use Corona Render and Blender, that is an incredible resource! You will be able to look in detail for materials, textures, and lights. For artists migrating to Blender from other 3D software like 3dsmax that could make a huge difference, especially for those already using Corona. To fully adapt your workflow it will be a matter of finding each aspect of the settings you use the most. In a recent announcement, the company developing Corona Render made public that they are now part of ChaosGroup. The core developers of V-Ray. In the announcement, they promise to keep developing and offering Corona licensing. For artists using Corona as their main tool to create digital art, there is always that fear of losing a piece of the workflow. Meanwhile, Cycles and Eevee are still growing as a reliable option for architectural visualization. With no risk of changing licensing and availability in the near future.